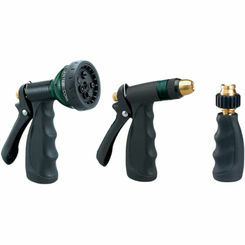 Your garden hose will perform optimally with the best hose end sprayers. 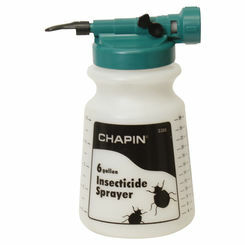 Picking out the proper sprayer for your yard and purposes is so important. The sprayer can make all the difference when it comes to watering and caring for your landscape design, or washing your car. 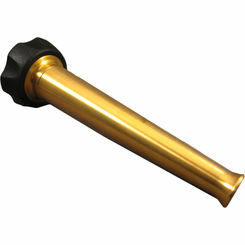 Choose from wands, pistol grips, fan sprays, and more. 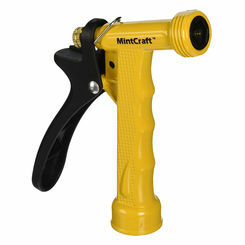 At PlumbersStock, we have a large selection of discount hose end sprayers, as well as all landscape supply. 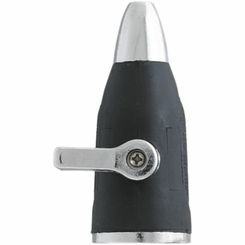 With designs from Orbit and Thrifty, you are sure to find exactly what you are looking for in one easy stop. 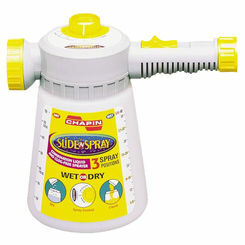 Sprayers are becoming more and more popular among homeowners everywhere. 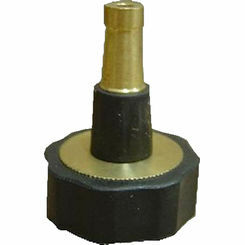 Not only do they make it easy to water those hard to reach areas in your lawn and flowerbeds, but they are great for so many other projects around the house as well. 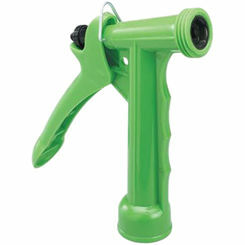 With all the amazing things you can do with a garden sprayer it is definitely a tool you do not want to go without. 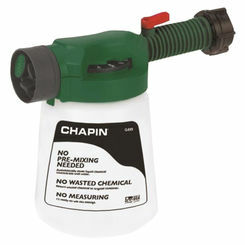 When watering with a sprayer, it's important to know how to properly use it. 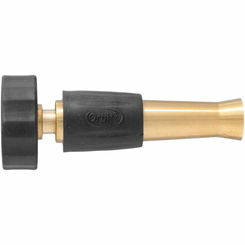 It's key to know which adjustments and nozzles work best for every type of watering situation you may encounter. 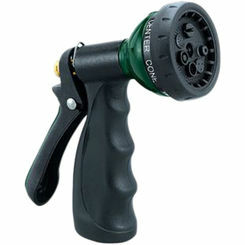 Watering Fragile Plants and Flowers - When watering plants and flowers, it is important to use a low velocity sprayer or adjustment on your nozzle. 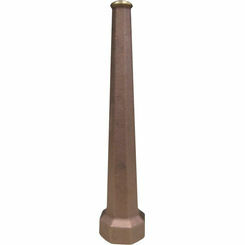 Typically, a sprayer that has a light mist is perfect for watering these types of plants. 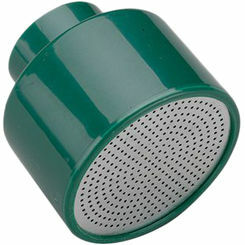 This will keep your flowers and fragile plants from being destroyed from too much water pressure. 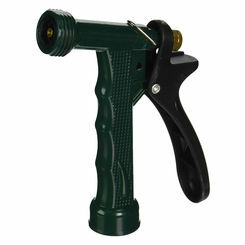 Watering Trees and Shrubs - If you do not have a drip system installed in your flowerbeds a hose end sprayer is the next best thing. 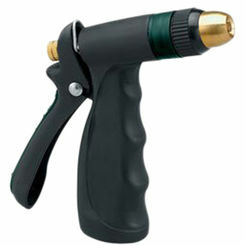 The right spray nozzle can help you water plants and bushes around your landscape quickly and easily. 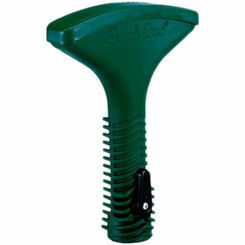 Watering Your Lawn - Even if you have a sprinkler, a garden sprayer can be used to water areas in your lawn which need a little extra love and care. 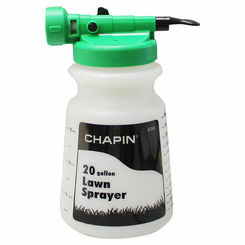 Sprayers are great for getting spots that are hard to reach and help get moisture back in your lawn. Cleaning Your Car - Taking your car to a car wash is getting more and more expensive. 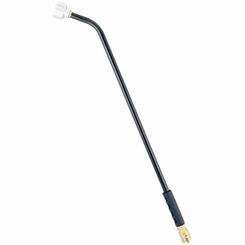 You can save money by using a hose sprayer to wash your car as good, or even better than a car wash would. 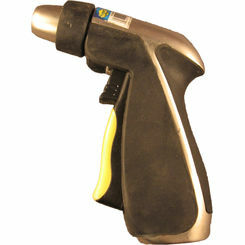 The many different sprayer settings and nozzles make it easy to clean the outside of your car like a professional. 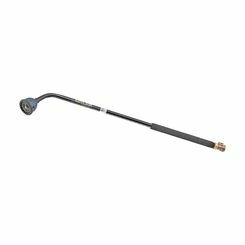 Cleaning Outside Your Home - Whether you are trying to clean off a dirty porch or clean spider webs from the eaves in your home, a hose sprayer is perfect for cleaning around the outside of your home. 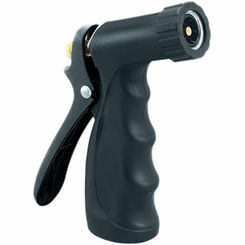 A high velocity sprayer will spray off any stubborn hard to clean areas and get your home looking nice. 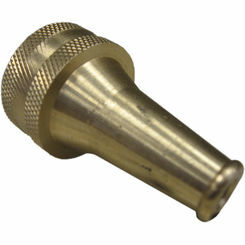 At PlumbersStock, we take pride in the large selection of wand and pistol-grip spray nozzles that we have to offer. 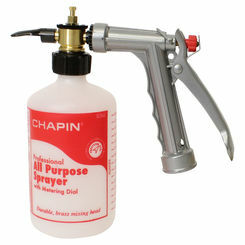 All of our sprayers are inexpensive and built to last. 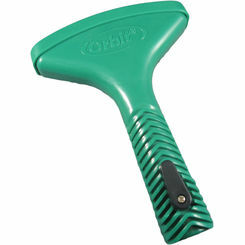 They are great for working in the lawn and garden, watering plants and even cleaning your home.